Isaiah Thomas may not be far from returning to action after a long rehab from hip surgery. He is a member of the Denver Nuggets but has yet to play a game for them this season. There are rumors that he may be back on the court in mid-February, so hopefully Boston fans will see him on the parquet again on March 18 when the Nuggets come to Boston. One of the biggest trades in Boston Celtics history almost didn’t happen. The Athletic’s Sam Amick recently spoke with three NBA front office executives, including Celtics assistant general manager and team counsel Mike Zarren, for a piece published Thursday about the inner-workings of the league’s trade deadline. When asked about the 2015 trade that sent Isaiah Thomas to Boston, Zarren revealed the Celtics didn’t know until right before the deadline that a deal would get done. The Celtics ultimately landed Thomas from the Phoenix Suns and Jonas Jerebko from the Detroit Pistons in a three-team trade that significantly impacted Boston’s future. That one was crazy because literally 35 minutes before the deadline we did not think we had any trade at all, and then we did two of them in the last half hour. That was just an interesting one, because we really thought – like so many deadlines – there just wasn’t anything to do and we were going to sit around and wait for the news of what other teams were doing. And then a couple phone calls right at the end there, and those trades both happened in the last 20 minutes. We’d been going back and forth with (Phoenix) for a while on Isaiah. It wasn’t a new discussion. Neither of those discussions were brand new, but both of them we thought were dead half an hour before the deadline. 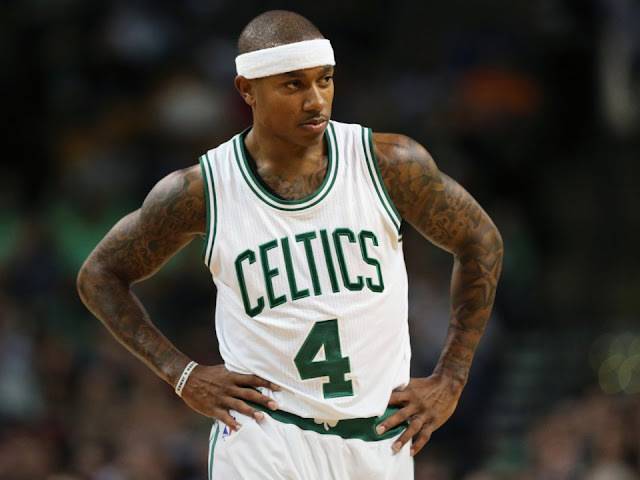 Isaiah's trade to Boston was an injection of talent and energy that was badly needed. He literally revived a team that was was struggling. The 5'9" dynamo became a crowd favorite, and he led the team to the Eastern Conference Finals in 2017 while dealing with the untimely death of his sister, Chyna. After being traded from the Celtics, Thomas has gone from team-to-team, but seems to have found a home in Denver. He has been through Hell. Isaiah is never quiet. He lets folks know what he is thinking. He often demands attention, and he will get it from his fans in Boston on March 18, when he is hopefully healthy, fully recovered - and back to his All-Star level. If ever a man deserved a break, it is Isaiah Thomas.